The Ariat Youth Volt Jacket is the perfect performance jacket for the active young rider, featuring a host of Ariat’s latest technology. 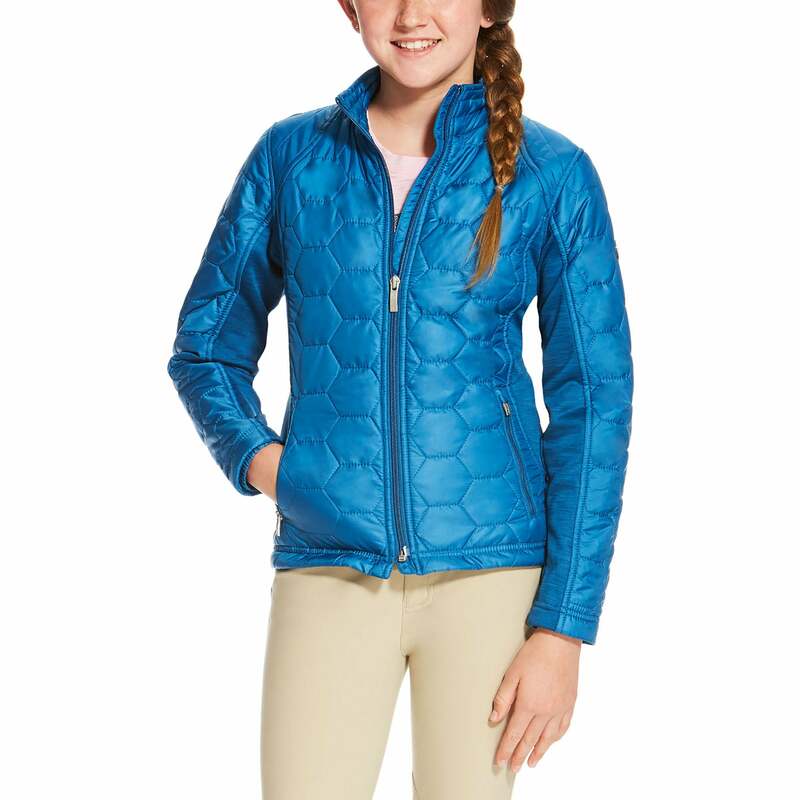 Wind and water resistant, this jacket has a featherweight quilted shell and uses Ariat’s V3 Stretch technology as well as stretch fleece side panels for maximum mobility. Ariat’s exclusive Moisture Movement technology pulls moisture to the outside of the garment so it evaporates quickly.